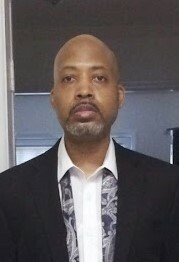 Obituary for Kelvin Demitris Morgan | Carl M Williams Funeral Directors, Inc.
Mr. Kelvin Demitris Morgan of Lithonia, GA, passed January 22, 2019. Funeral service will be held on Tuesday, January 29, 2019 at 11 a.m. at our chapel, with Reverend Phillip Spann, officiating. Interment, South-View Cemetery. Survivors are his mother, Virginia Morgan Willis; son, Dionte D. Morgan; sister, Yontria Morgan (Kevin) Stallings; granddaughter, Leilani N. Morgan; aunt, Gail Morgan Pierce (William); nephew, Antoine Morgan; and a host of other relatives and friends.